Claire Culley section pres. and Richard Paul, out going president. 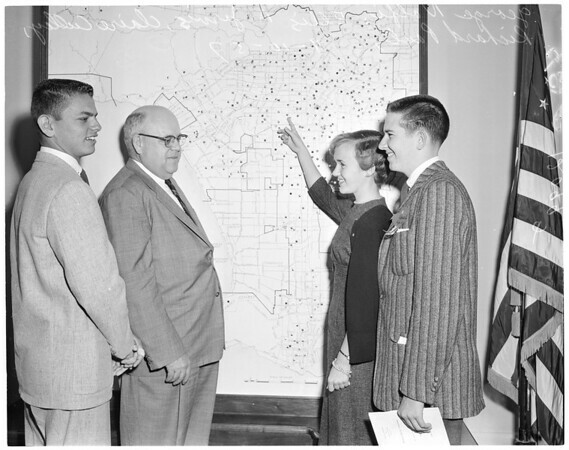 Looking at map of L.A. City schools".